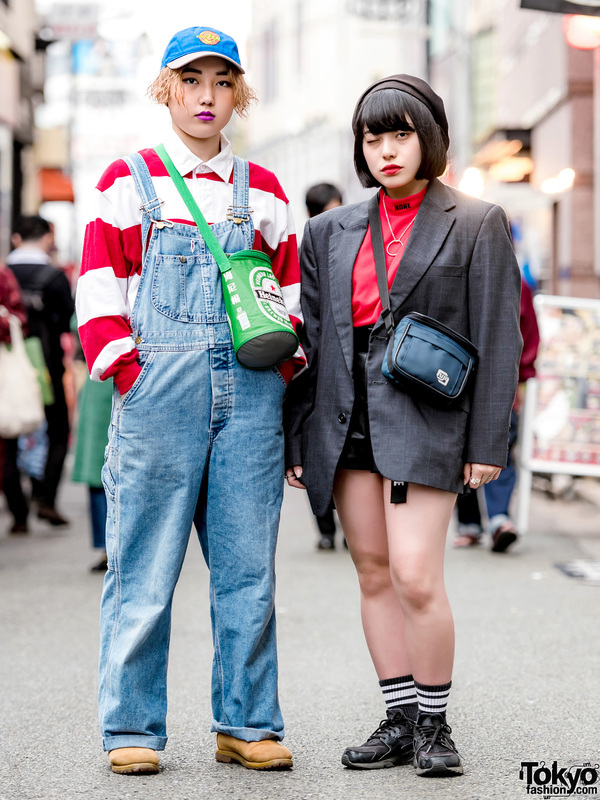 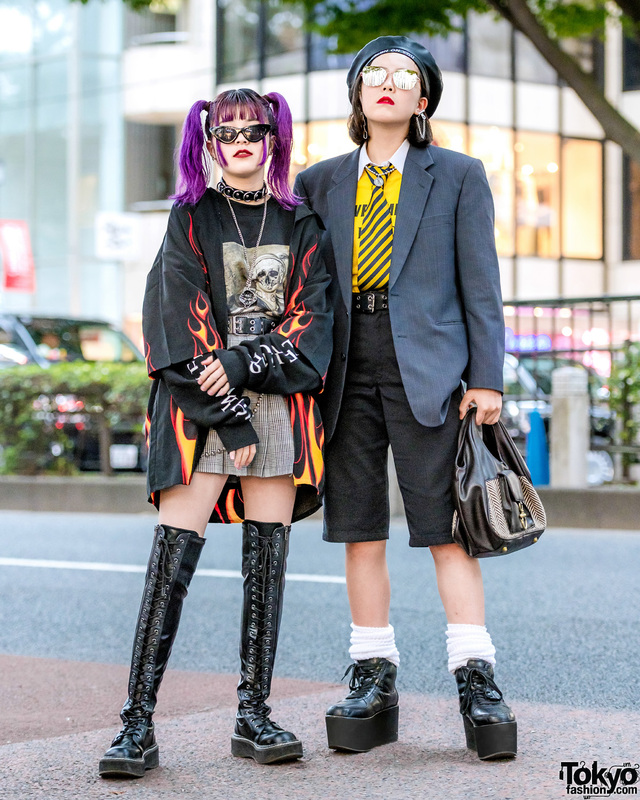 Harajuku girls in mixed streetwear styles with flame print shirt, plaid skirt, vintage clothing pieces, thigh high lace up boots, platform sneakers and accessories. 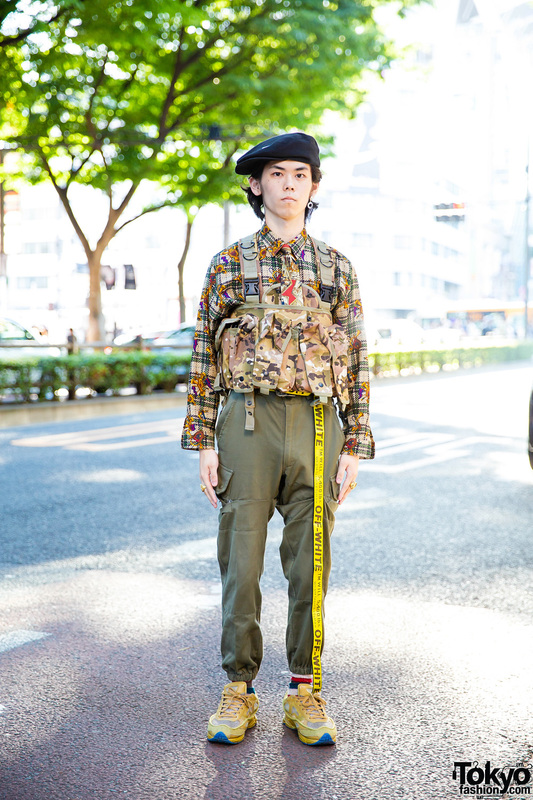 Harajuku student sporting an army green themed outfit while out and about on the street. 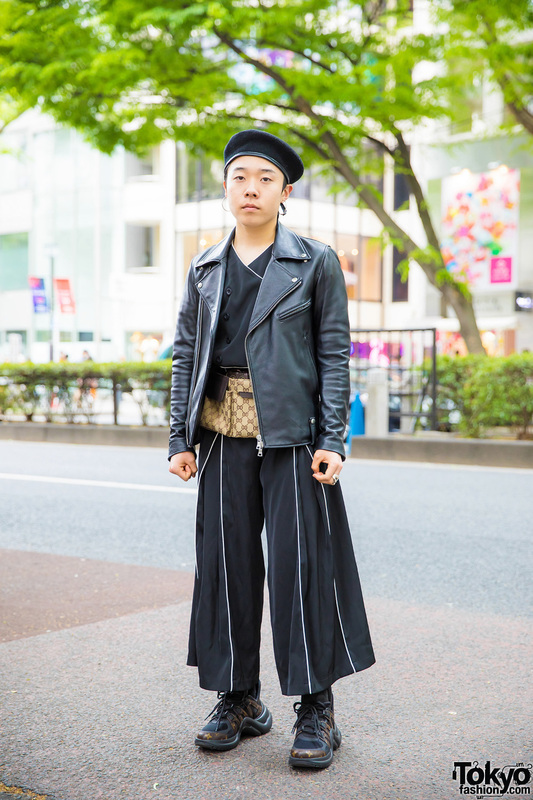 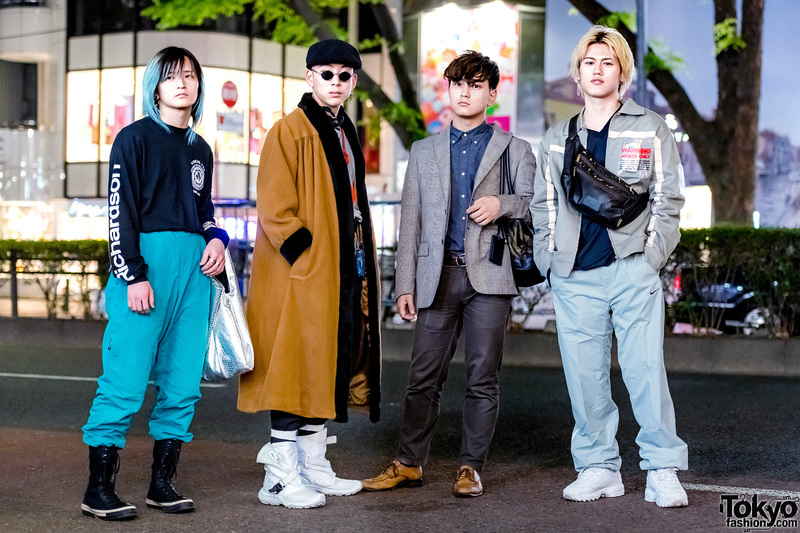 Japanese model showcasing casual-cool streetwear while out and about in Harajuku.